Easy B ladies leather shoe. Sizes 3-8 incl half sizes. 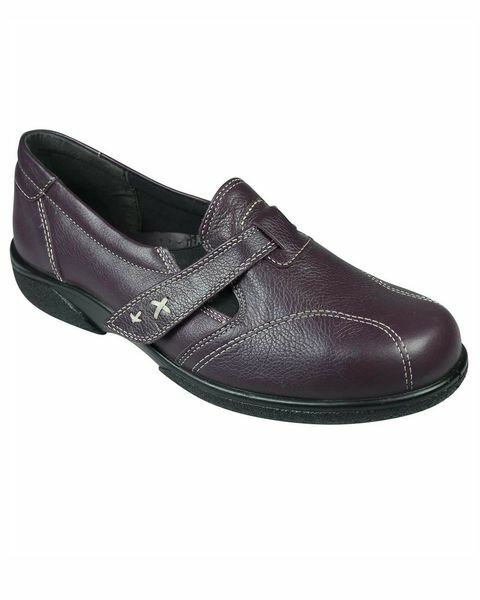 Ladies velcro soft comfortable shoe in a stylish tumble grain leather from Easy B. Contrast stitching and elastication to the front with a velcro fastening for a comfortable fit. In Colours Navy, Wine.